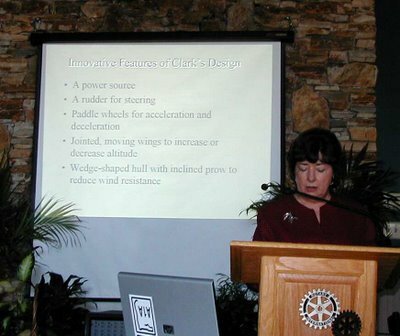 Upon invitation by the White County Rotary Club, Sylvia Dyer Turnage presented the story of Clark Dyer’s flying machine at a meeting on September 26, 2006, in Cleveland, Georgia. 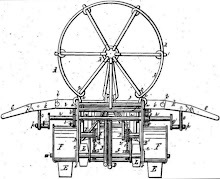 In her PowerPoint presentation, she emphasized the innovative features of this pioneer mountain man’s design: a power source, a rudder for steering, paddle wheels for acceleration and deceleration, jointed wings to increase or decrease altitude, and a wedge-shaped hull with inclined prow to reduce wind resistance. The Rotarians were amazed at this lost piece of history and many agreed with Sylvia that reproducing the plane and having it placed in a museum was a worthy endeavor. 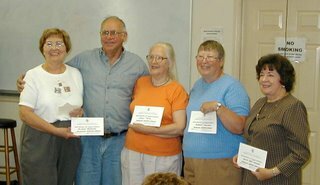 On September 23, 2006, Sylvia Dyer Turnage introduced The Old Unicoi Trail Chapter of the Daughters of the American Revolution to a piece of history that most of them had never heard of, the invention of a “flying machine” by Micajah Clark Dyer in the Choestoe District of Union County. She showed them a copy of his Patent No. 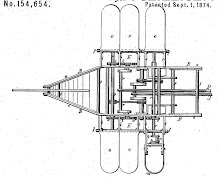 154,654 issued by the U.S. Patent and Trademark Office on September 1, 1874, for his “Apparatus for Navigating the Air.” She related the stories told by eyewitnesses of seeing Clark Dyer fly his machine off Rattlesnake Mountain and across his field about a quarter of a century before the Wright Brothers flew their plane at Kitty Hawk, NC in 1903. Sylvia expressed her desire to get the craft reproduced and placed in a museum, and to have the history books include this important contribution to aviation. 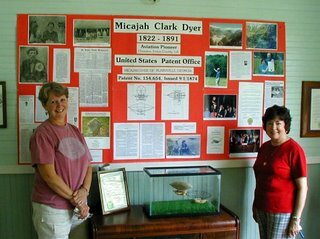 Pictured above: Jean Oakley and Sylvia Dyer Turnage with the Micajah Clark Dyer flying machine exhibit at the festival. Exhibits showcasing Micajah Clark Dyer’s flying machine were on display at the Mountain Marketplace Heritage Festival in Blairsville, Georgia on September 2-3, 2006. 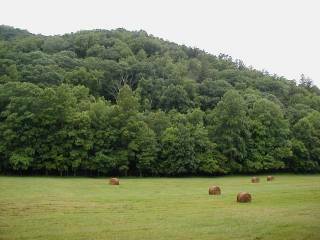 The annual festival is a community outreach event of the Union County Historical Society featuring mountain music, arts and crafts, historic treasures, and living history activities to keep the area’s rich mountain heritage alive. Many festival visitors were introduced for the first time to the story of Clark Dyer’s invention. 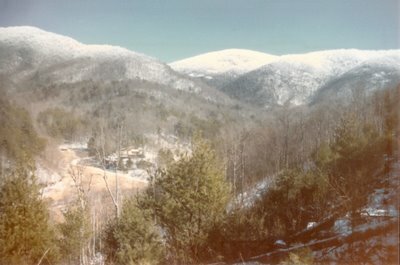 Dyer’s 1874 patent for an 'Apparatus for Navigating the Air' and his subsequent flight from Rattlesnake Mountain in Union County pushes the timeframe of Georgia’s first record of aviation history back more than three decades.